Product code: VM923 Categories: Home Living, Kitchen Aids. 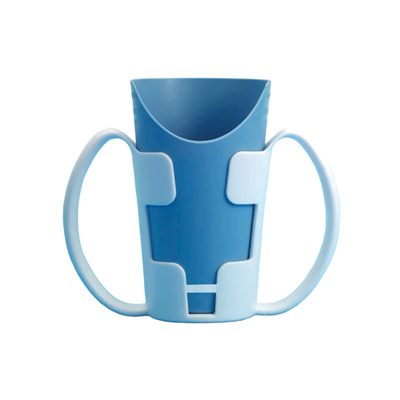 Designed for adults who may have limited dexterity or reduced strength and grip in their hands and arms, the Cup Holder is a dining aid featuring two large handles for better control and to reduce the chance of spillage. Please note that the drinking cup is not supplied. Below is a list of more information about the Cup Holder from Mobility Aids UK. If you would like to view more products like this, CLICK HERE.